The Cassini spacecraft looks toward the south pole and cratered surface of Saturn's moon Janus. 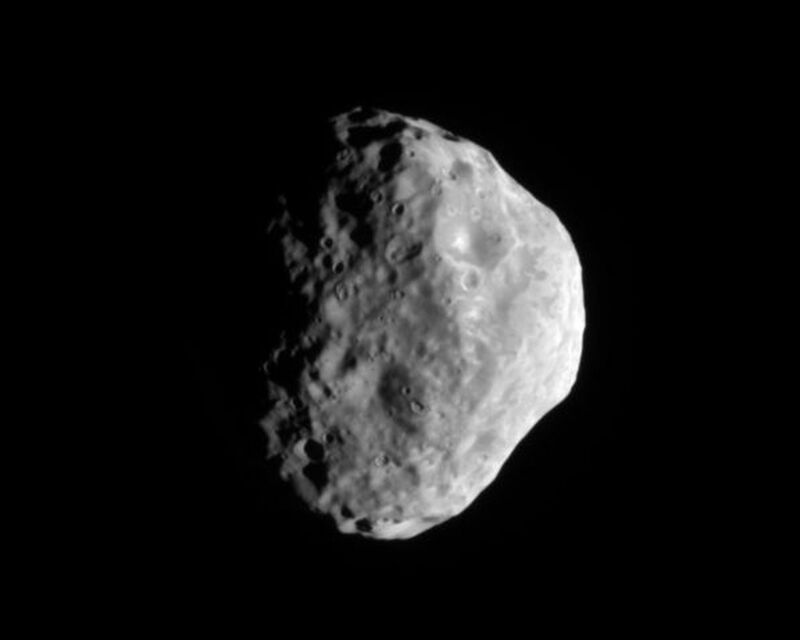 The pole of Janus lies on the terminator about one-third of the way inward from the bottom of the image. This view is centered on terrain at 42 degrees south latitude, 32 degrees west longitude. 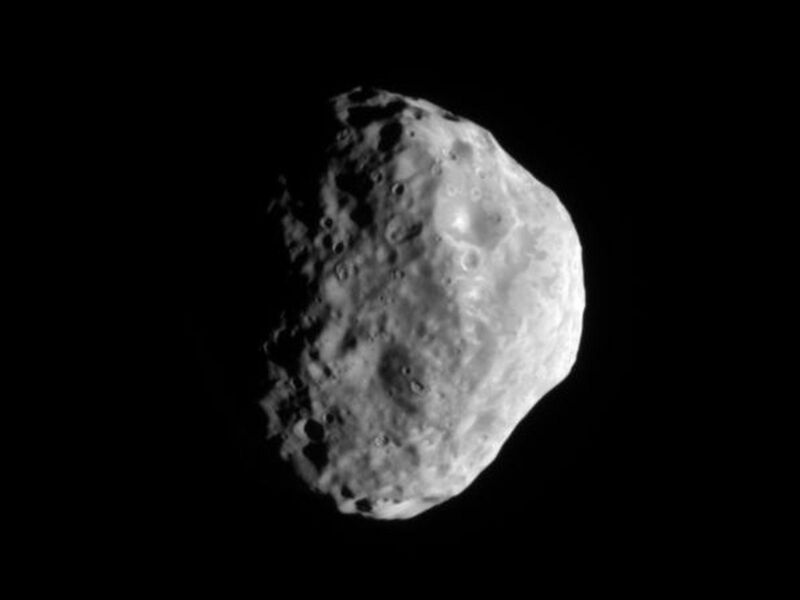 Lit terrain seen here is on the Saturn-facing side of Janus (179 kilometers, or 111 miles across). 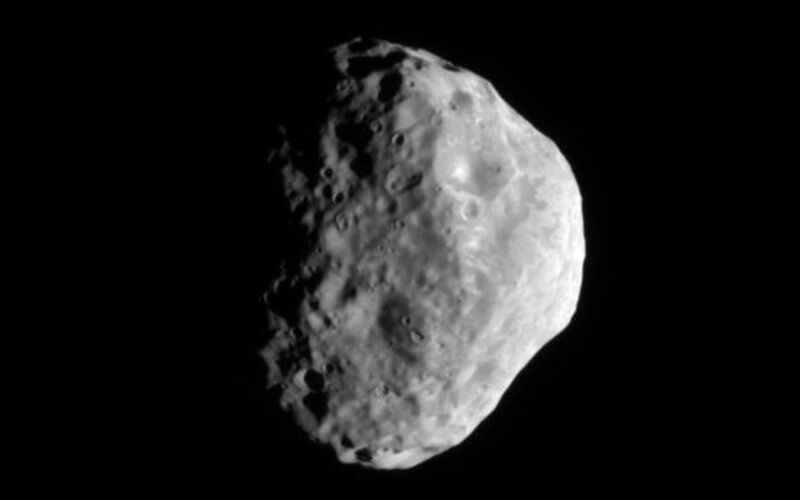 The image was taken in visible light with the Cassini spacecraft narrow-angle camera on July 26, 2009. 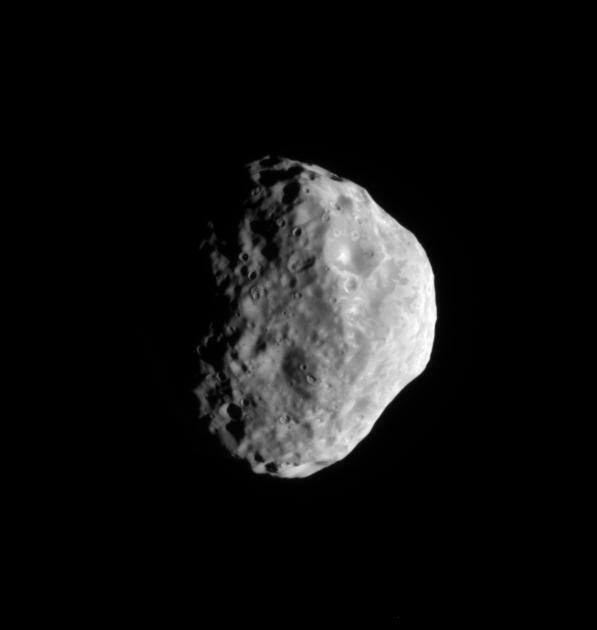 The view was acquired at a distance of approximately 100,000 kilometers (62,000 miles) from Janus and at a Sun-Janus-spacecraft, or phase, angle of 63 degrees. Image scale is 600 meters (1,968 feet) per pixel.